Happy Valentine’s Day! Today is the perfect day for my first post since June; the perfect day to share that the reason for the break is the new love in my life. 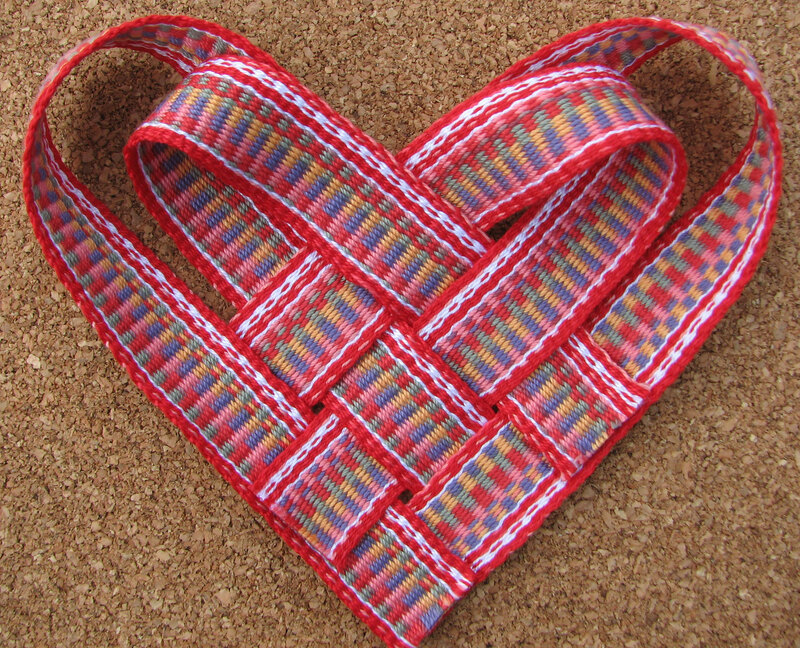 Growing this new love has kept me from weaving and writing, but ultimately has brought me so much joy. I am happy to introduce you to my new love, our new son, who joined us on January 10th. Now that I’m not “growing”’ this love anymore, I feel more like myself and am so happy to be weaving, writing and creating again. Although, arguably, I was creating for 9 months… So, here is an “inkle bit of love” project for you. I hope you enjoy. 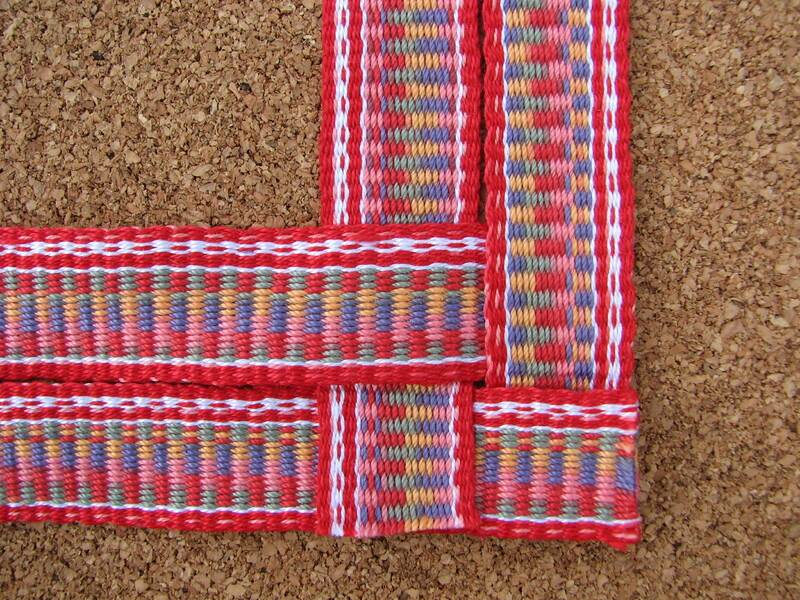 You will need a band no wider than 3/4″ cut into four 8″ long pieces, any wider and it just looks wonky. However, shorter pieces will give you a smaller heart and longer pieces will give you bigger heart. (and the world needs more of those!) 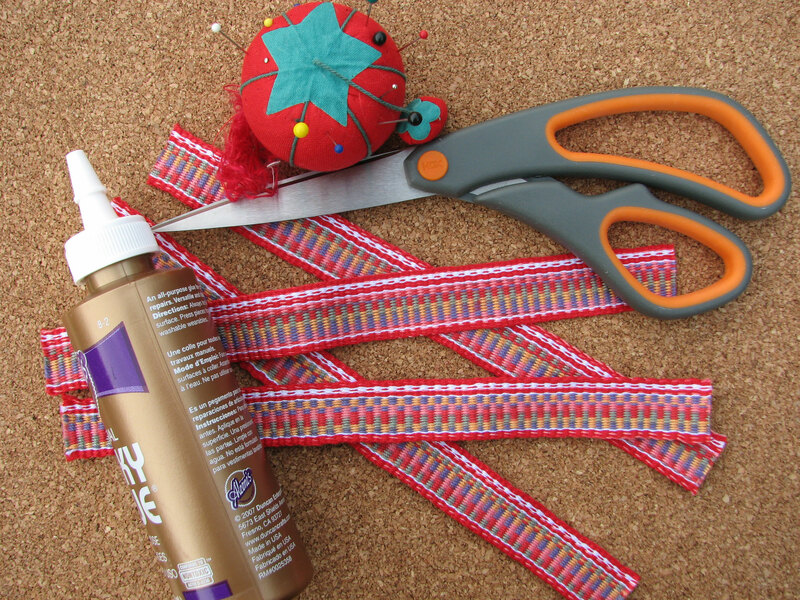 Use the glue to seal the edges of each band piece so they don’t frey and to glue the band ends down after you’ve gotten them into place. 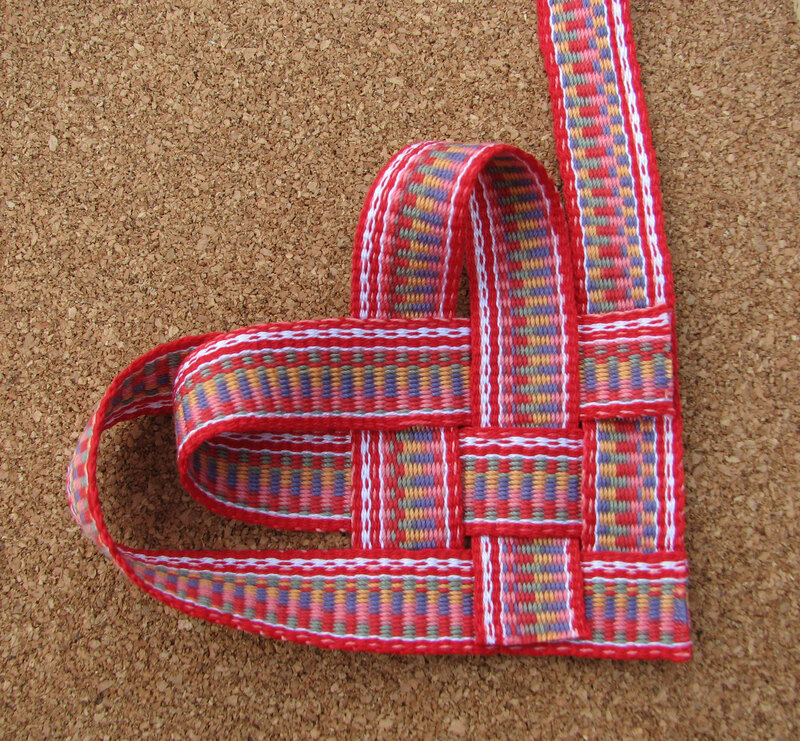 Wouldn’t this heart be fun made into a lapel or scarf pin, a hair clip, a magnet… What else? Do you have any ideas? Hi and Welcome Back, Congradulations on your new little son, he so cute. I missed you and wondered where you had gone. Glad to have you back again. Thank you, Paulette! It’s a wonderful time in our home, and it feels good to be back! Oh, many, many, many congratulations to you, and welcome to the world, little one! 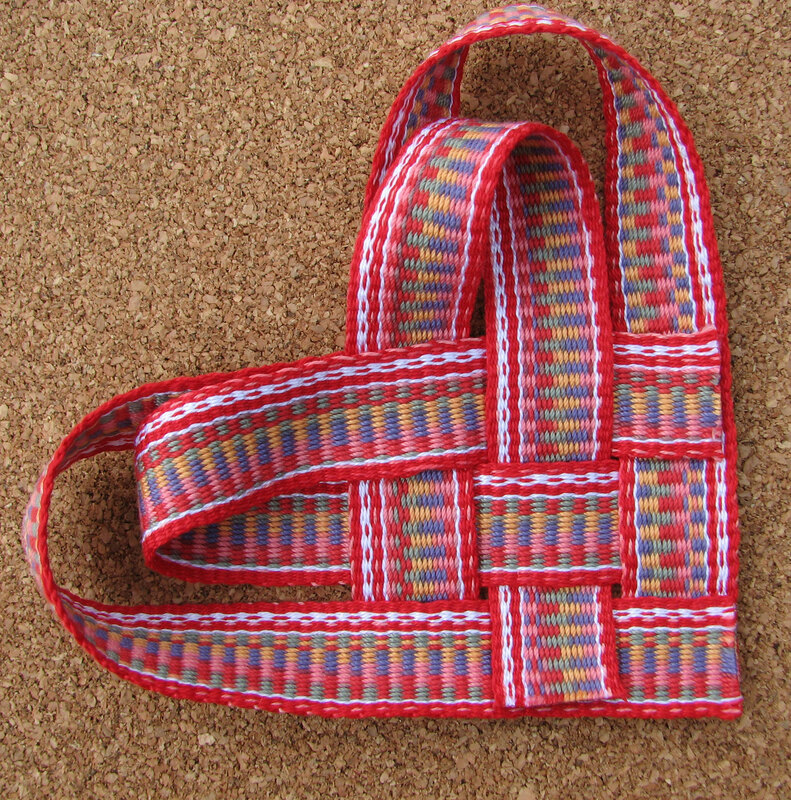 May the weaving of your life be created from threads of joy and happiness, from threads of love from every person in your life, and threads of laughter, and may you bring the same to everyone you meet! What an amazingly beautiful and heartwarming thing to say Siberianstarbeads. Many thanks. You’re very welcome! Babies are a joy! 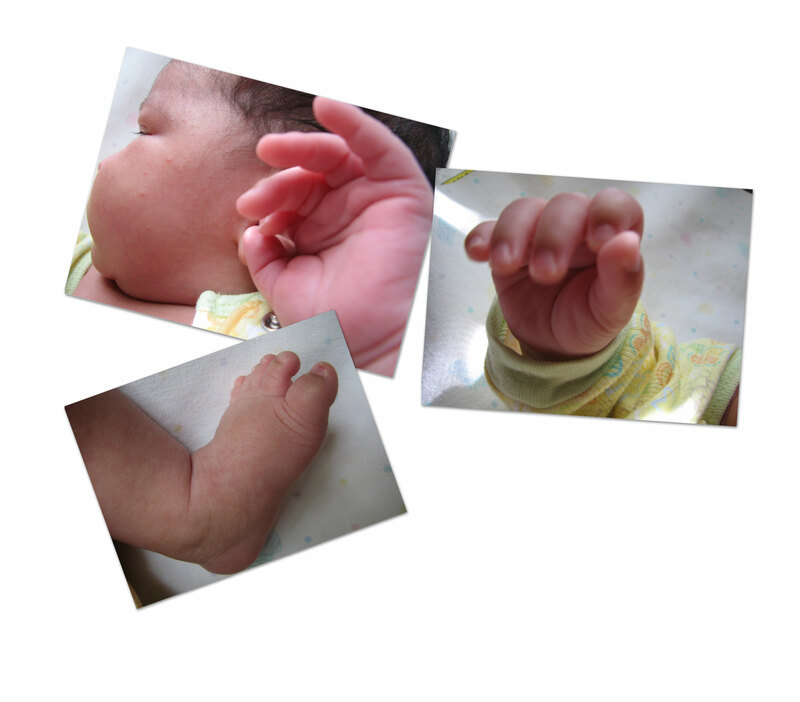 Congratulations–baby feet and hands are so cute! 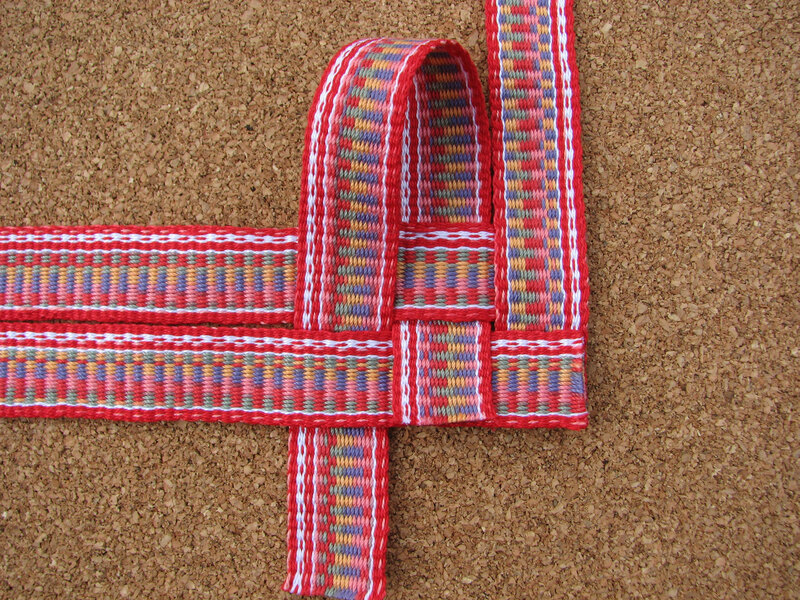 What a fun project idea–using a narrow braid that can be used for jewelry, package or tote bag decoration, etc. The detail in your directions is really helpful. Now that you’re posting again, guess I’ll have to do a second blog post…. Those are great ideas. Please share if you try any of them! Love the beautiful little hands & feet and love the inspiration of the perfect heart the baby gave you. What a lovely project! 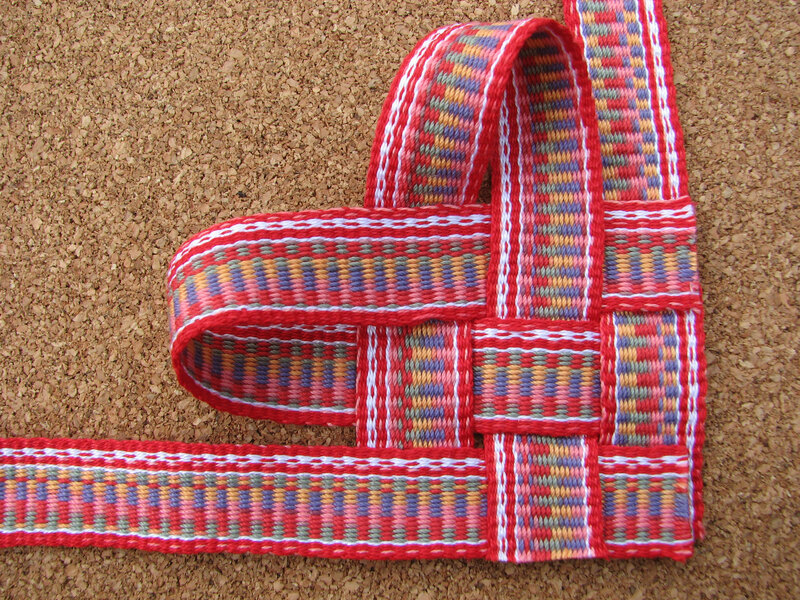 It makes me want to warp up my inkle loom again. Thank you so much for this idea. It will help when need a personal gift.